Last year, I realized something on a level I had not fully problematized before: my black female students want to be princesses. This revelation came very early in the semester last spring in my black women’s rhetoric class. We were reading excerpts from bell hooks’s Sisters of the Yam (see Sariane Leigh’s inspiring discussion of the personal impact of this text) and somewhere in a sentence that wasn’t even the focus of the piece, hooks criticizes princess-fairy-tales, the kind of indoctrination of female subordination that Disney (and the media) sustain. The sentence was, for me, so obvious so I really didn’t flinch when I read it but that is what many of my students focused in on. They disagreed with hooks because, yes, they want to be princesses and find a rich, wealthy prince to sweep them off of their feet and there’s nothing wrong with that. I was stunned, though I should not have been. I have come to expect this sentiment from what I would call my domesticated female students, which often includes women of color, especially lighter-skinned women who often identify (or want to) as white [and, for some reason, flipping or twirling one’s straight(ened) hair seems to be a kinesthetic hallmark]: women who marry right out of college at 21 or 22, plan a big wedding with 22 bridesmaids, buy as big of a home as possible with a 2-to-3-car garage, work until they have children which is when their bread-winning husband takes over finances (and pretty much all decision-making). There are variations of this but this is still the main storyline. Many of the women on this chosen path love Disney and/or everything pink and princess-y and argue for it quite vociferously in my classes. This little, neat, domestic map often gets unmapped fairly quickly and/or “messily” though in real life because it requires women’s subservience and, thus, manifests divorce, infidelity, financial trouble, resentment, intellectual/general boredom, or general unhappiness, part of what hooks, in fact, argues in her Love Trilogy. 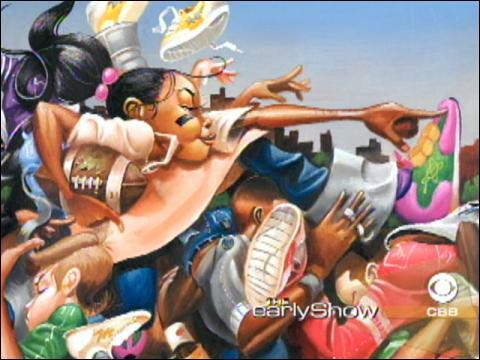 However, the women desperately clinging to their prince-charming fairy tale last spring were young, conscious black women on the way to becoming artists, lawyers, doctors, professors, organizers, researchers, writers, and activists (none of whom, by the way, had boyfriends or even patience for the young black men they met in college). It’s not like my college days weren’t filled with young black women who were looking for Prince Charming. I was perplexed, even then, that black women who have become some of the nation’s top surgeons, CEOs, CFOs, and attorneys would only date men in college who looked as if they would be professional athletes or movie stars— Prince Charming on a whole other nightmarish level. Yet and still, these women didn’t explicitly and publicly call themselves aspiring princesses back then. I think it just wasn’t the discursive currency like in today’s media campaigns under Disney/Basketball Wives/Real Housewives. Given the current and future successes and high drive of the black women in my classes that I am describing, their embrace of patriarchy is a contradiction since they are not likely to subsume their minds, time, and desires according to a man’s dictates and ego. I think they simply need to see and hear an alternative model, one that matches the patriarchy they are not inscribing anyway. What kind of world(s) do these stories, most often written by black women, create for black girls and why? What are these stories countering in the Disney empire? How? And what do these stories create instead, for black girls especially? I really passed you twice. I am especially drawn to this book given how many parents and teachers, mostly white and/or middle class minorities, have denounced the book because the little girl at the center of the story is too confident, claiming the book to be unrealistic and dangerous for girls. I can’t imagine such a thing as being too confident as a black girl; it also becomes revealing to call this book unrealistic while staying silent on the cultural embrace of Disney princesses, as if THAT is realistic. 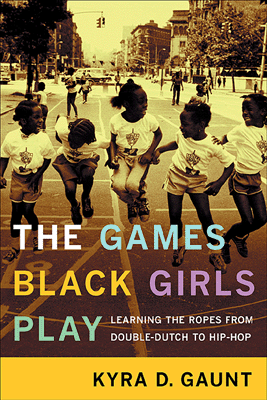 Most importantly, the book works, rhetorically and stylistically, as black-girl-speak, in the sense of the words and rhyming that you hear in double dutch games and black girls’ songs/games like Kyra Gaunt has so brilliantly discussed in her book, The Games Black Girls Play: Learning the Ropes from Double-Dutch to Hip Hop. This rhetoric and style are also linked to what Daryl Cumber Dance calls the “baad-women,” the female counterparts to the more commonly known African American male folk-heroes such as Shine, Stagolee, and John Henry. The purpose of these women’s discourse is to show superhuman exploits which are, basically, the makings of an imagination and creativity you will surely need in white supremacist, capitalistic, patriarchal contexts. These baad-women quite willfully show the ways that they succeed at exactly those goals (both sacred and very secular) imagined to be outside of what women can do and, in the case of Latifah’s Queen of the Scene, what blackgirls can do. Courageous, aggressive, and guile, it seems like only their words and quick wit can keep up with them given the ways that they rhyme, signify, and sass (a word, which, as Dance shows, is a West African derivation.) Although white male or female, black male, and other unsympathetic women of color do not often understand or approve, the stories and discursive styles of baad-women provide immense pleasure and vision to black female audiences. 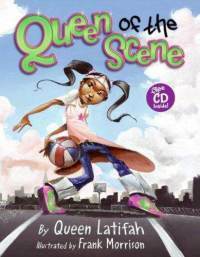 When I have students look at the black girl story of Queen of the Scene, I will ask them to read the words and look at the visual images of black girlhood through the lens that Gaunt offers about the games black girls play and the baad-women traditions that Dance has chronicled. Most importantly, I want to look at the ways that, in this case, African American “folkore/orature” has long provided alternative identities and rhetorics to the gendered hierarchies and institutions that inscribe us: from the plantations under slavery/JimCrow to the indoctrination under Disney. Baad-women always offer us an alternative world(view).